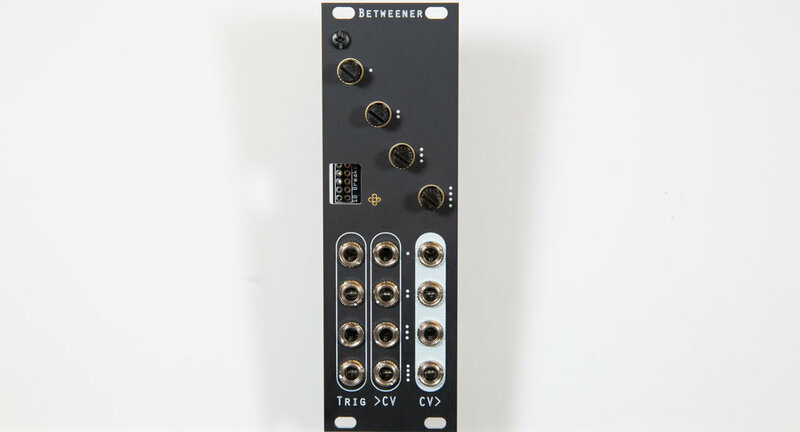 The Betweener is an affordable, open-source, DIY module (Eurorack-compatible) for use in synthesis and multi-instrument systems. 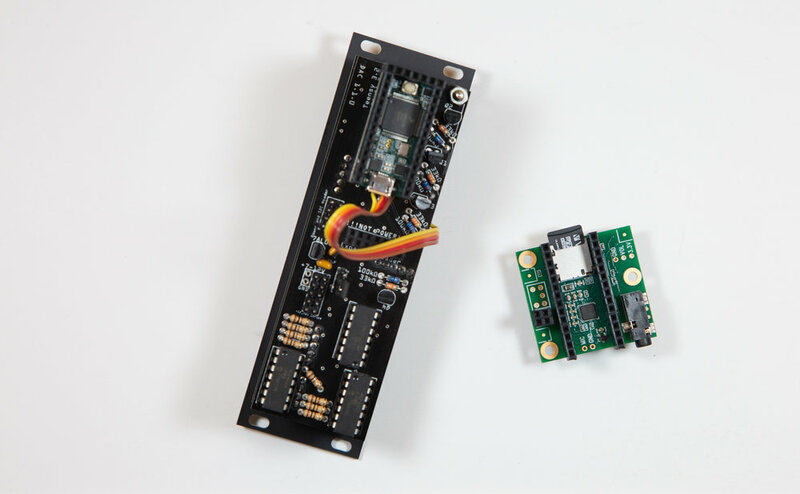 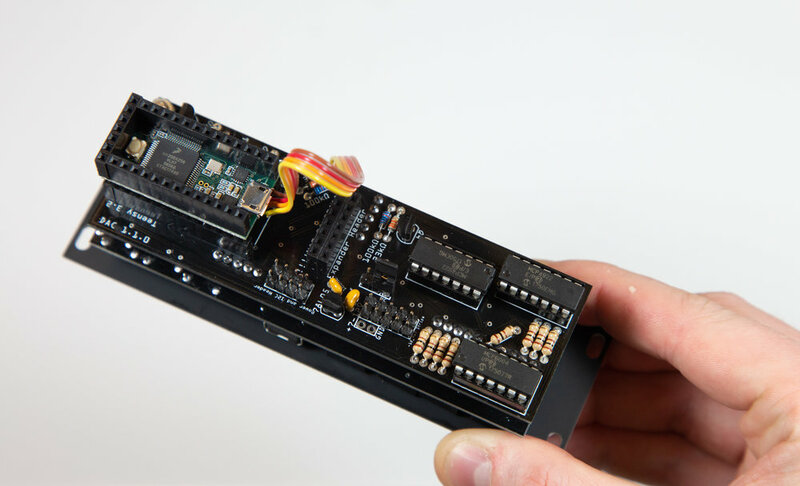 It combines the flexibility of a Teensy 3.2 (programmable using the Arduino IDE) with four built-in Control Voltage (CV) inputs, four Trigger inputs, four knobs, and four CV outputs. 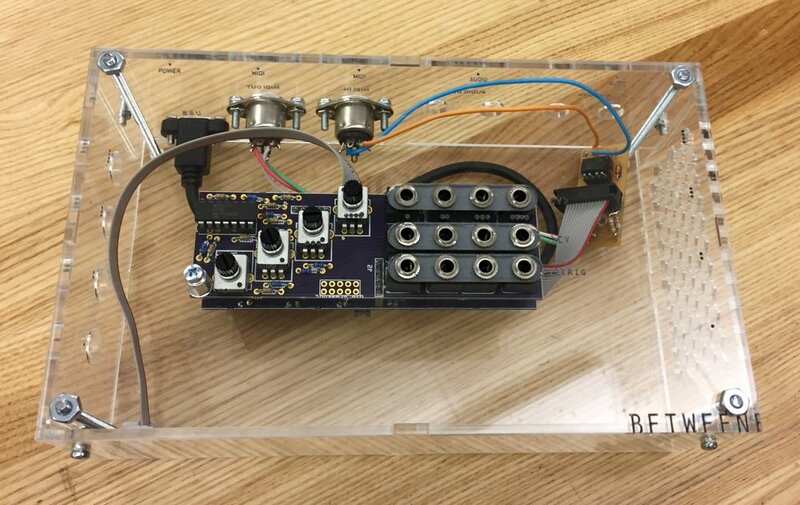 Via USB MIDI or an add-on DIN MIDI breakout, the Betweener enables MIDI-to-CV and CV-to-MIDI conversion in a highly customizable and hackable format. 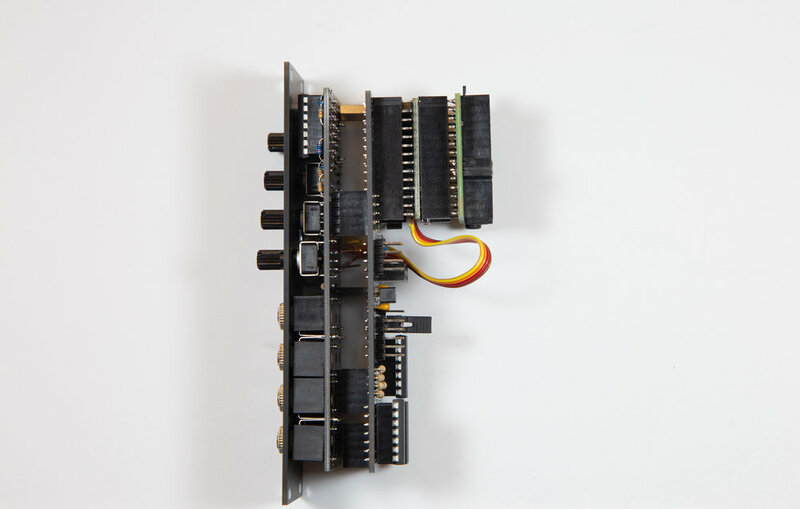 The hardware and software were developed at the School of the Art Institute of Chicago for use in the Sound Department course Selected Topics: Analog/Digital.